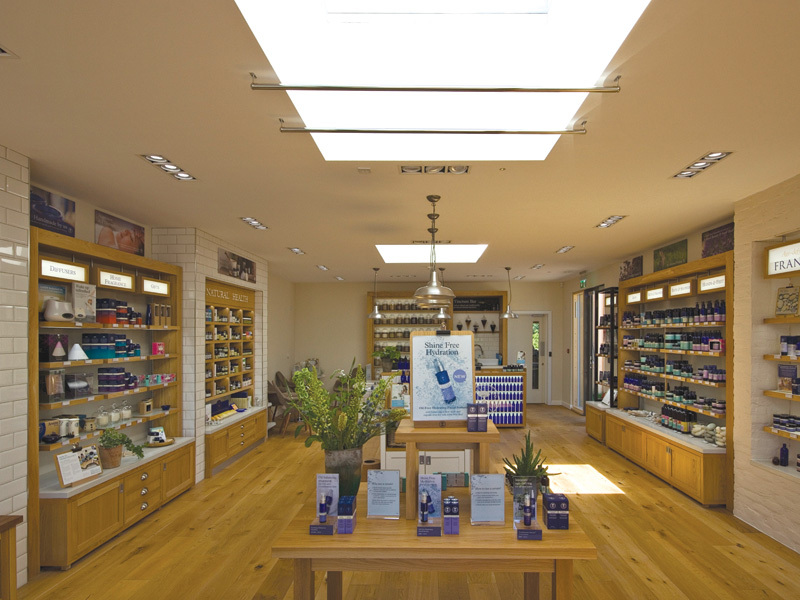 After its move from London in 2005 to the new purpose-built eco-factory facility at Peacemarsh, Neal’s Yard Remedies has become a well-established local resident of the area. 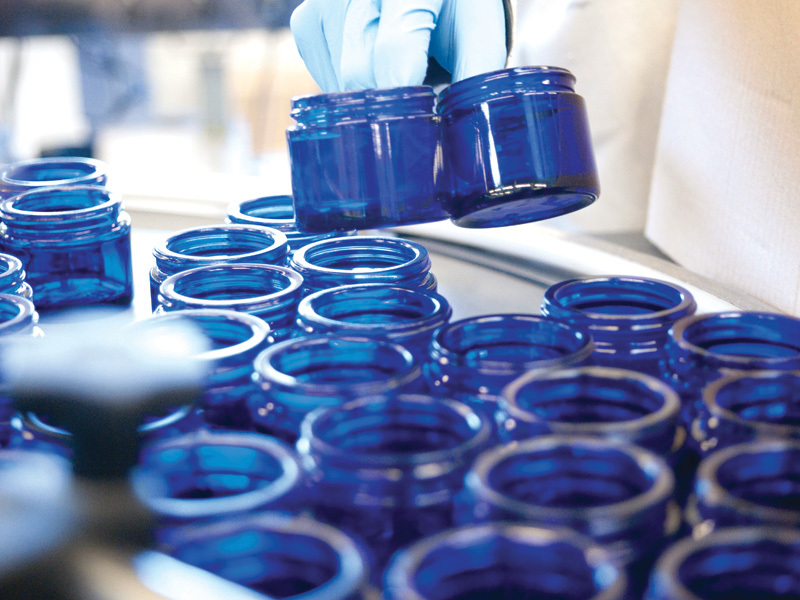 With its continuing sales growth and being a significant employer in the area, the company opted to upgrade and expand the factory in line with its continuing growth. 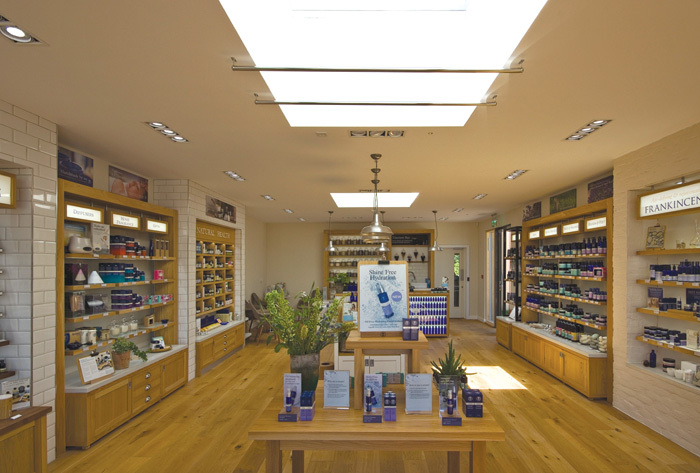 From a three-storey-high living wall to unique honeycomb-inspired office buildings, the new resulting scheme demonstrates the distinctive characteristics and quirkiness of the Neal’s Yard Remedies brand of natural health and beauty products. 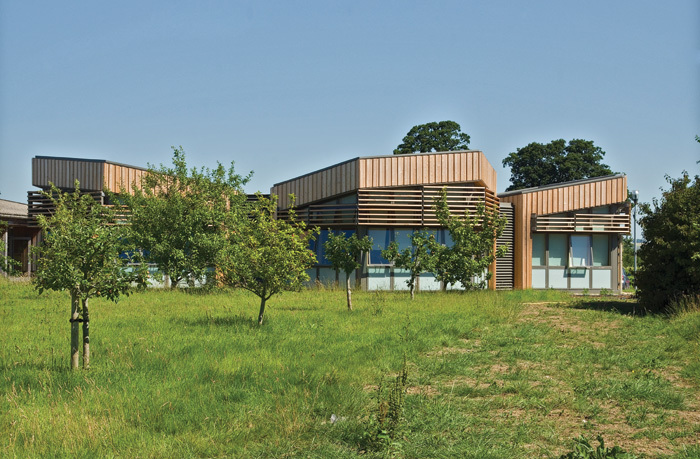 ‘Our brief was to create a design for the [two] new [factory] extensions, which would complement and enhance the original iconic factory buildings,’ explains Craig Jones, director at Boon Brown Architects, the practice charged with delivering the project. 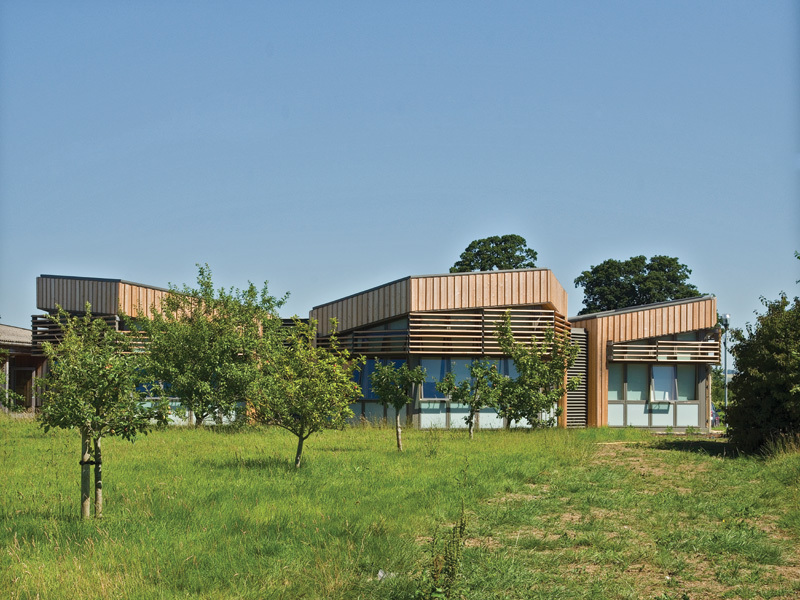 In the 12 years the buildings have been place they have become something of a iconic local landmark, with their simple geometry and part-clad in timber. 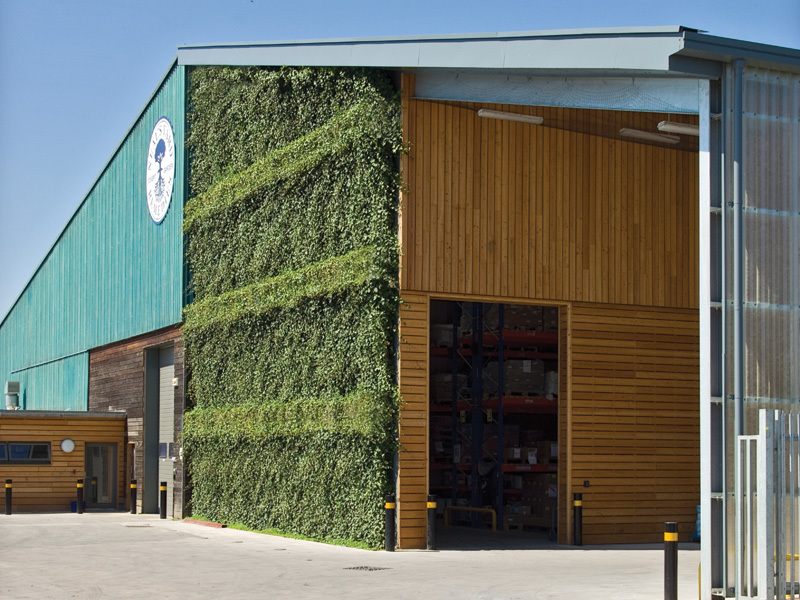 Additionally the practice has also delivered its design scheme for a third extension at the front of the building, creating a new timber framed retail outlet, with exposed glulam beams – complete with a scented, mixed- flower living wall – and adjoining offices. 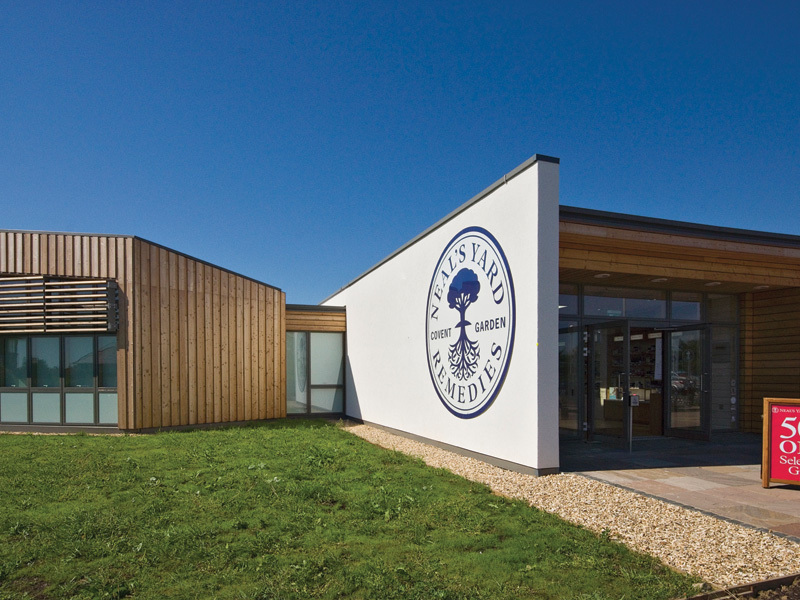 The Boon Brown Architects’ scheme is one of natural organic health, reflecting the health and beauty product manufacturer’s ethos of environment, resource efficiency and wellbeing. The offices are located within three interlocking hexagonal buildings that draw inspiration from the honeycomb pattern used on the Bee Lovely product range. Their unique form adds something new to the front of the site, contrasting the blocky feel of the factory buildings. Inside are three fully glazed pods with garden views. 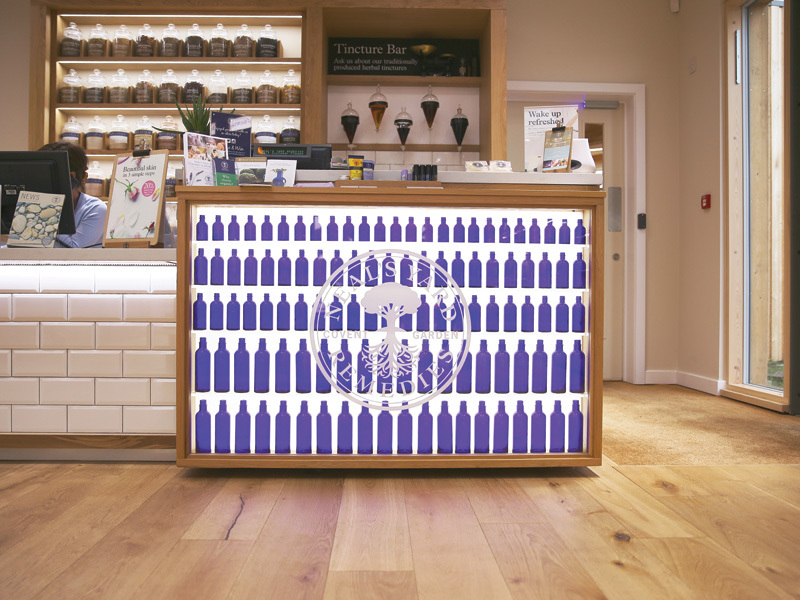 Open-plan desk layouts allow for group work and collaborative thinking for the Neal’s Yard Remedies’ design team. 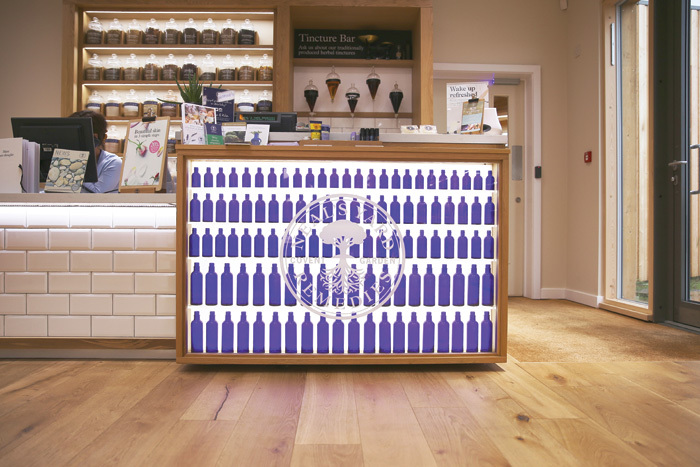 In line with Neal’s Yard Remedies’ ethos while also being visually comfortable with the surrounding area. 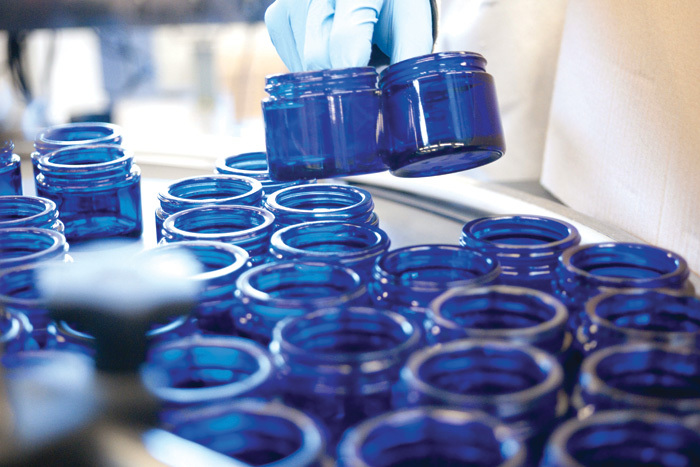 Project materials used are sustainably sourced, as well as being organic wherever possible. 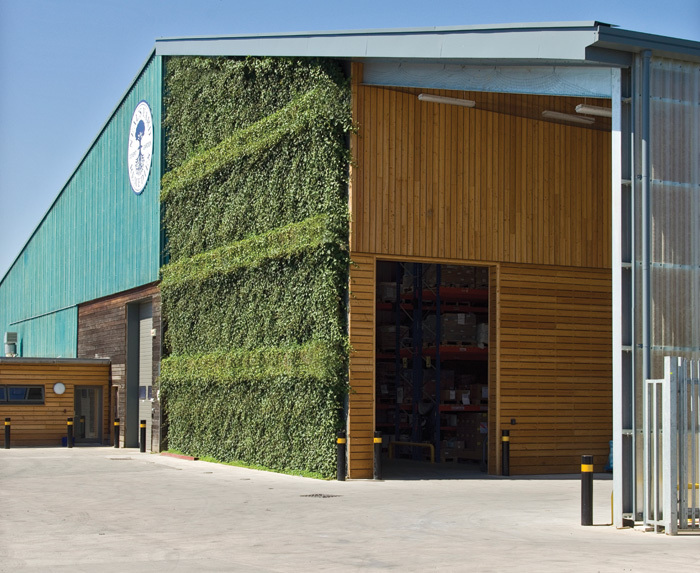 But it’s the two living walls which provide the direct expression of the company’s manifesto – one being an ambitious three storey ivy wall, the other of mixed .lowering – which provide a healthy, inspiring and productive environment for all sta. at the facility. 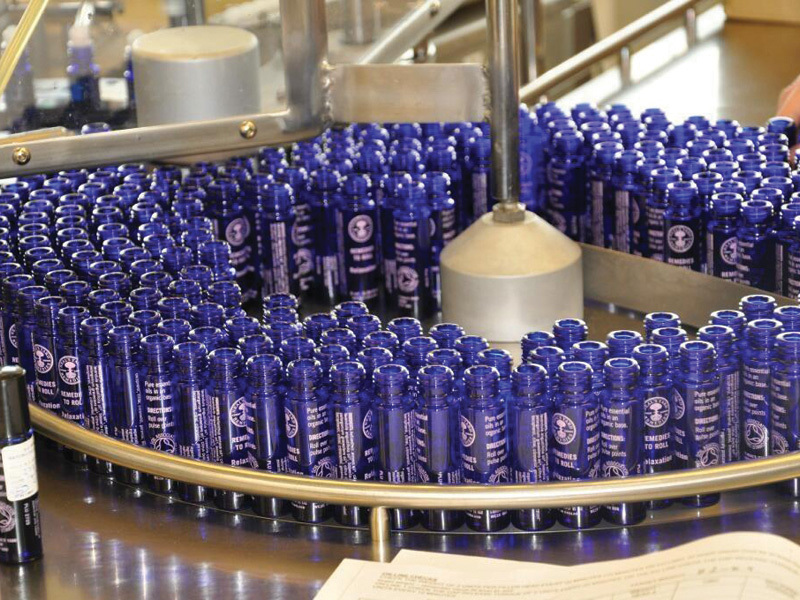 No matter at what part of the operations, natural light streams in and access to green space is available to all. New mounding and large areas of soft landscaping have been introduced with site waste used to create a grass-covered amphitheatre area for sta. games in summer. 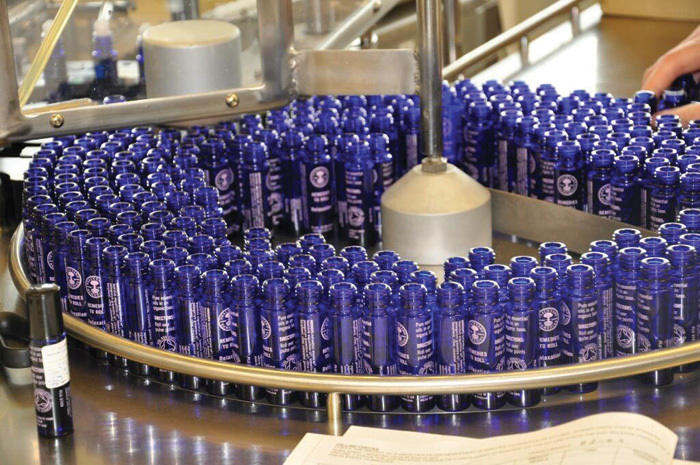 Extensive and colourful arrays of .lowering plants have also been included – many of which are used in Neal’s Yard Remedies’ products made in the Peacemarsh factory’s organic kitchen. ‘Perhaps the most significant challenge for the extension-works programme was maintaining a clean and viable manufacturing environment,’ says Jones. ‘This required complex construction phasing and scheduling occasional weekend works, as well as an emphasis on teamwork and communication of ‘putting planet before profit’ it was important that the new design additions respected sustainability and efficiency.